Our roofing experts are dedicated to completing your project (large or small) with quality results, on time, and within your budget. 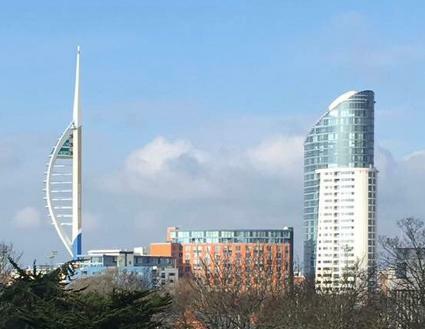 We are a professional, highly skilled and knowledgeable roofing company that has been working within the trades in Portsmouth and Hampshire and the surrounding areas for over 30 years. We have a vast amount of expertise and relevant experience gained through completing a wide range of roofing and repairs over this time. Whatever kind of roofing services you may require, be it slating or tiling a new roof or a small lead repair around the chimney, flat roofing, roof repairs, commercial roofers or residential roofing, then our team of roofers have the skills and knowledge to provide you with the kind of quality service that you would expect from a professional domestic or commercial roofer- a quality team of roofers who will guarantee their work and ensure that you receive the best roofing service. We have 30 years of roofing experience of all kinds. My team is professional and reliable, and we will work within your constraints. We always stay on the job until it's done to your satisfaction!